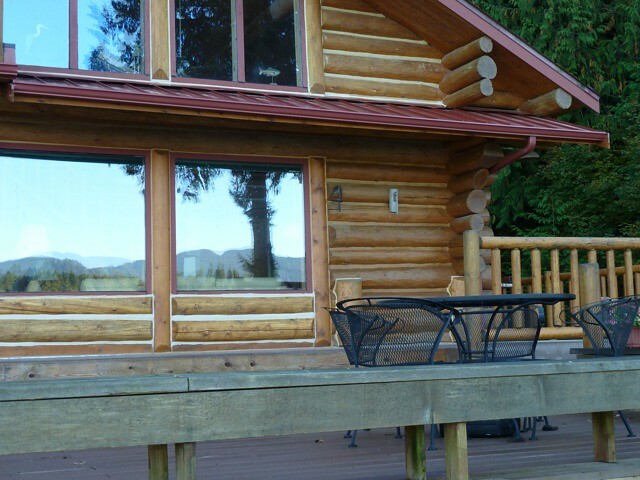 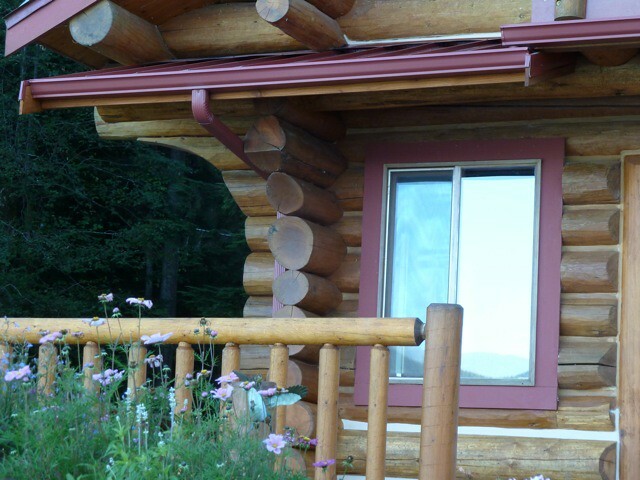 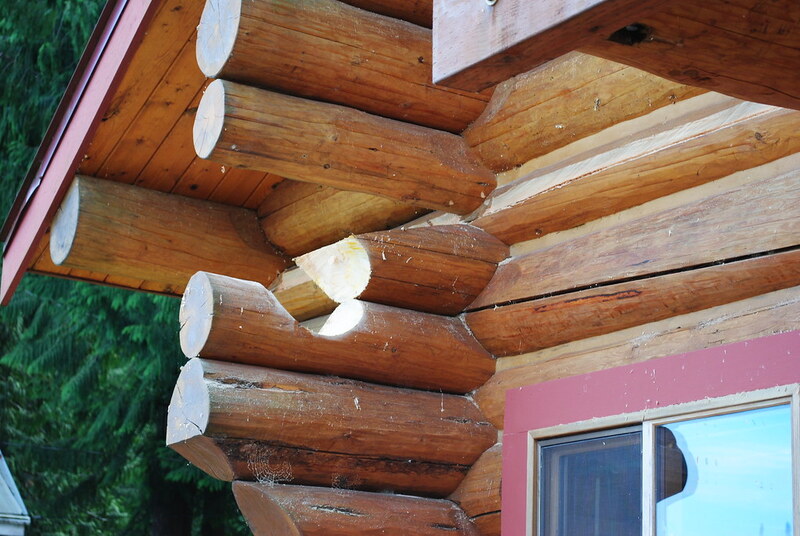 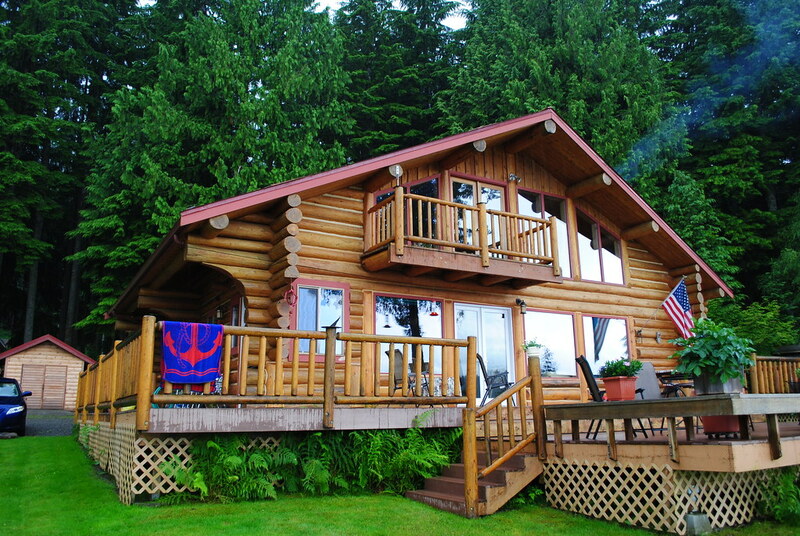 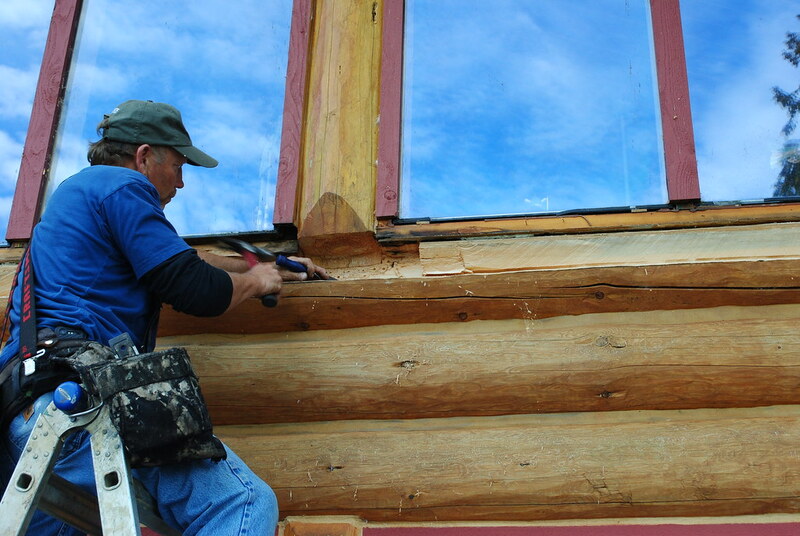 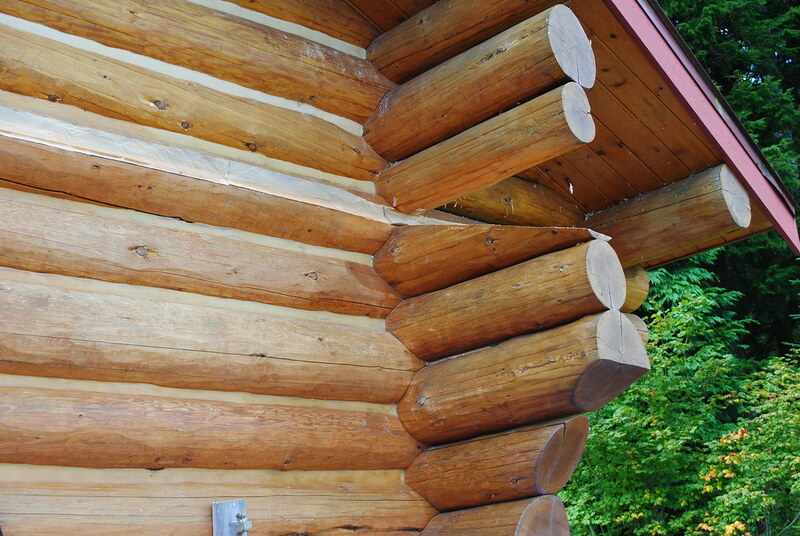 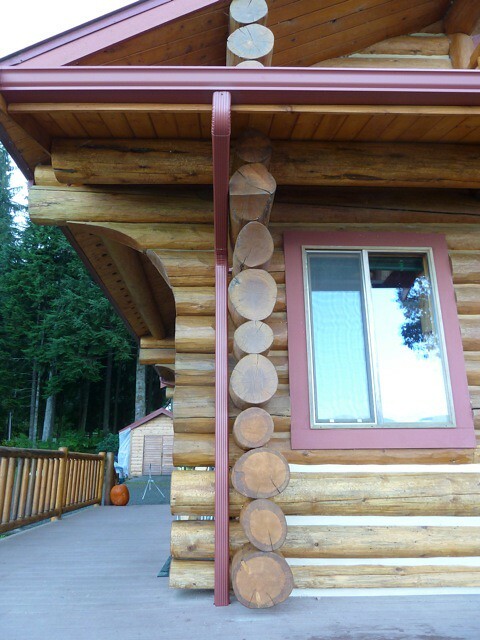 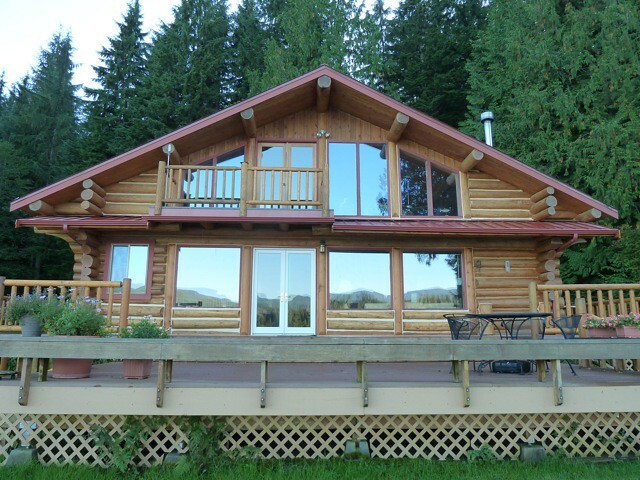 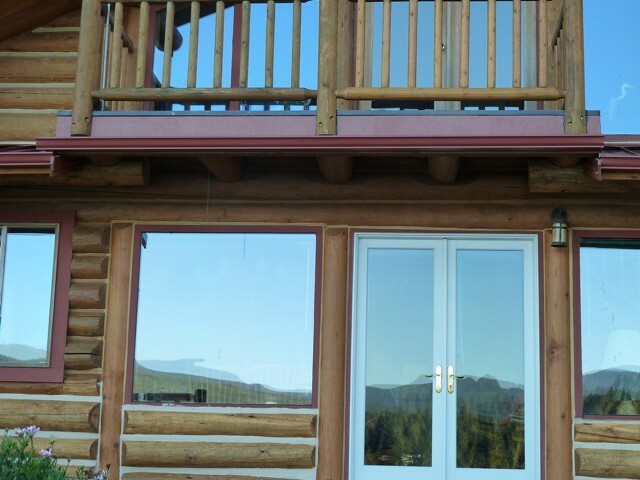 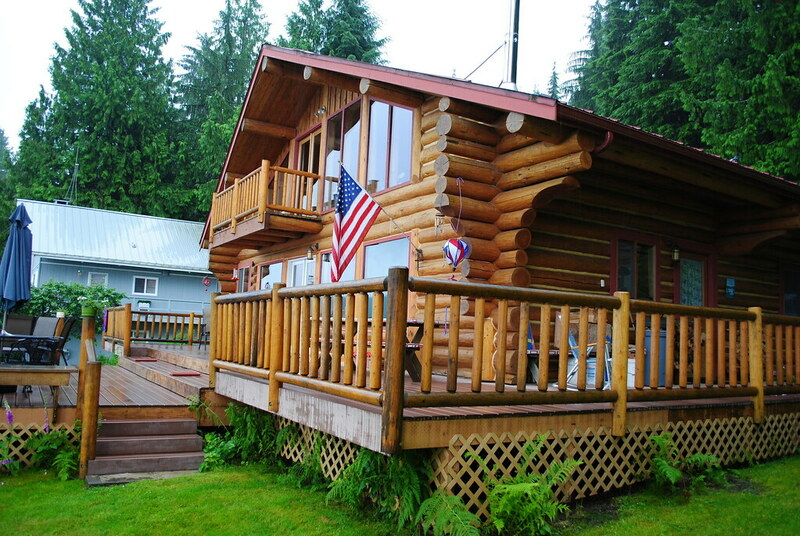 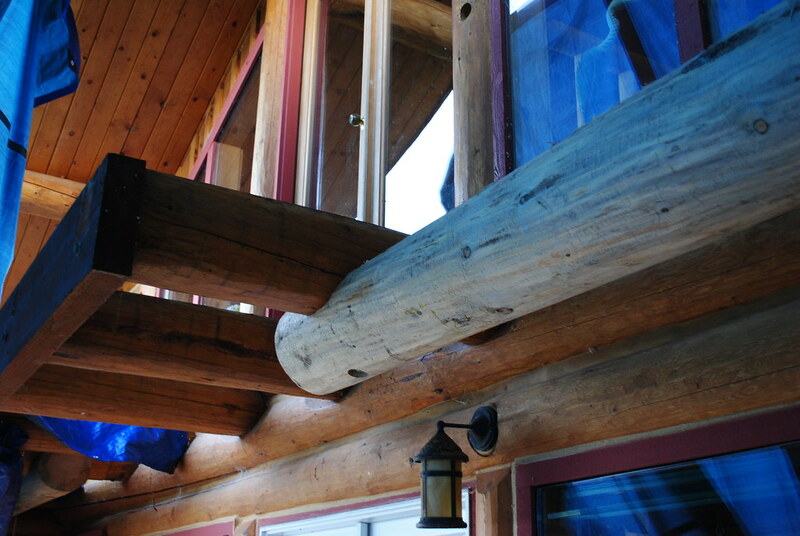 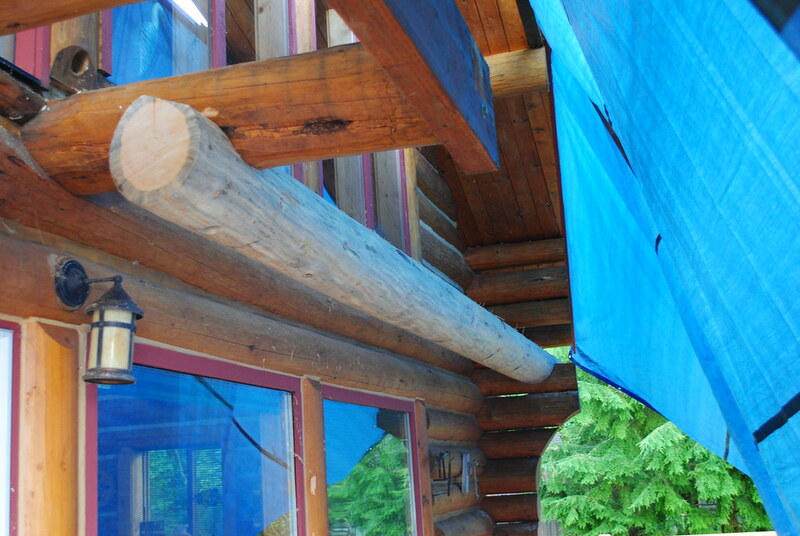 Log beams were then fastened from the outer balcony joists to the log tails at either corner on that side of the home. 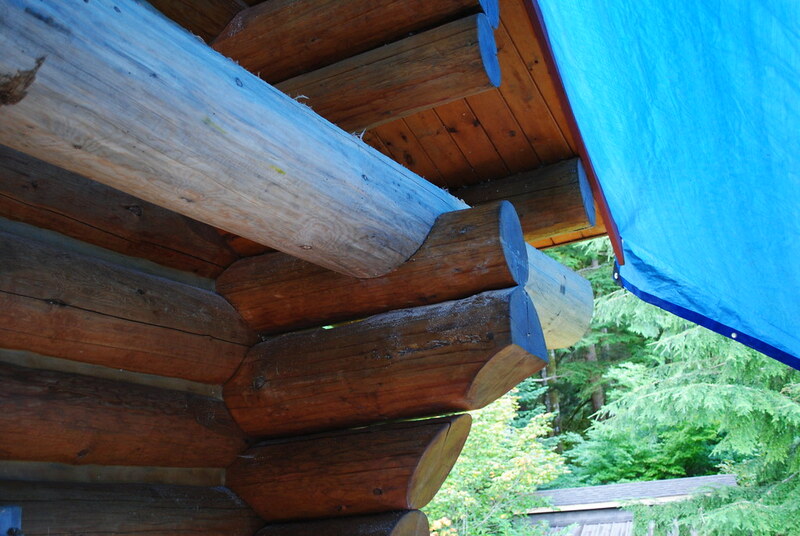 These served to provide support to the two new eyebrow roofs that would shield the remaining lower wall area. 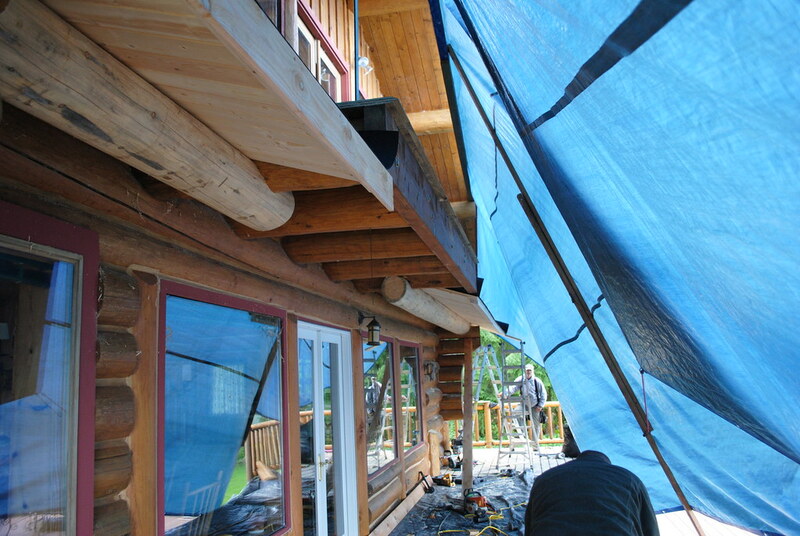 New gutters and downspouts prevented destructive water splash and directed the stormwater far away from the home.